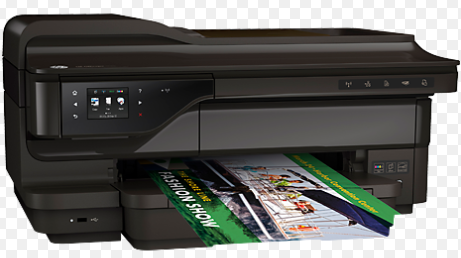 HP Officejet 7612 Wide Format e-All-in-One Printers can print materials for your business needs ranging in size from 3 x 5 to 13 x 19 inches (A3 +). This printer can handle a variety of paper sizes and can be accommodated in trays up to 250 papers. The HP Officejet 7612 can also scan A4 and A3 documents (merging options) with the flatbed scan method (A4 and A3) and ADF (A4). The ADF tray can hold up to 35 pages to scan continuously. You can also scan documents to copy them or to send faxes that only take 4 seconds per copy.